Real Ministry Parish is more than mass on Sunday. It’s people living life together and helping one another throughout our cities to serve our cities. Each week, people at Real Ministry Parish meet in small communities to learn about God, pray, eat, laugh, and live. We call these Life Groups – and they’re the heart of our church. Mission. One of the purposes of the leadership structure is to implement the vision and accomplish the mission of the church. The structure is designed to promote ownership of the mission of Real Ministry Parish at the group level as they carry out the mission in their neighborhood. We intentionally build our structure around geographic regions to emphasize the neighborhood strategy. 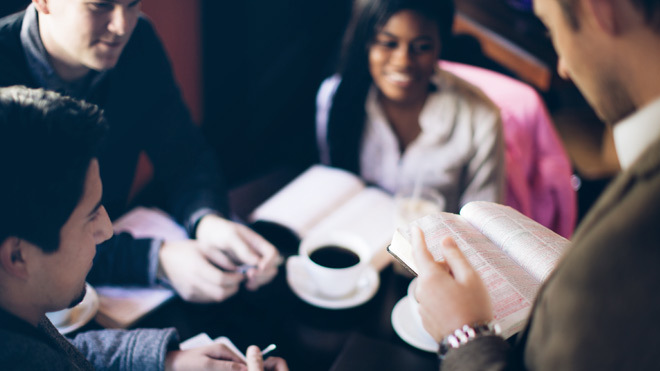 If you’re looking to get more connected at Real Ministry Parish, Life Groups are the way to do it. And while it can be scary meeting new people, we promise you won’t be a stranger for long.